This distinctive, highly reflective cremation urn sphere is hand-blown in art glass, using sterling silver to fume the glaze. 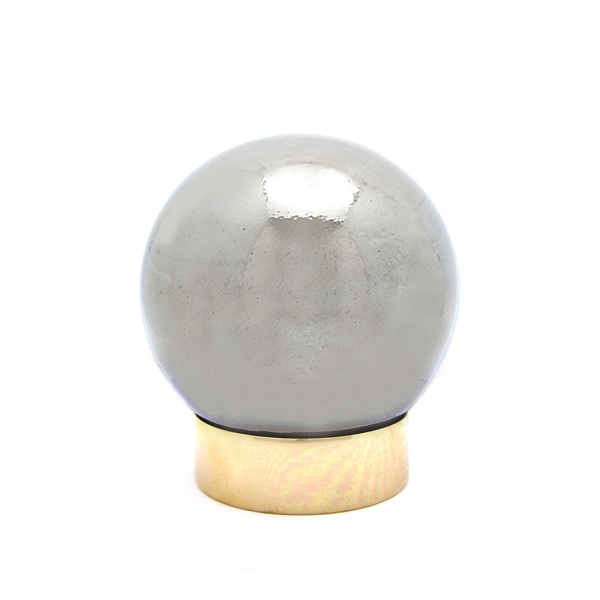 The sphere's stand is created in polished high quality solid brass. The secure, threaded, brass Closure at the bottom of the sphere provides space for engraving. Included are a plastic inner liner bag, and a black velvet pouch for containing small mementos.